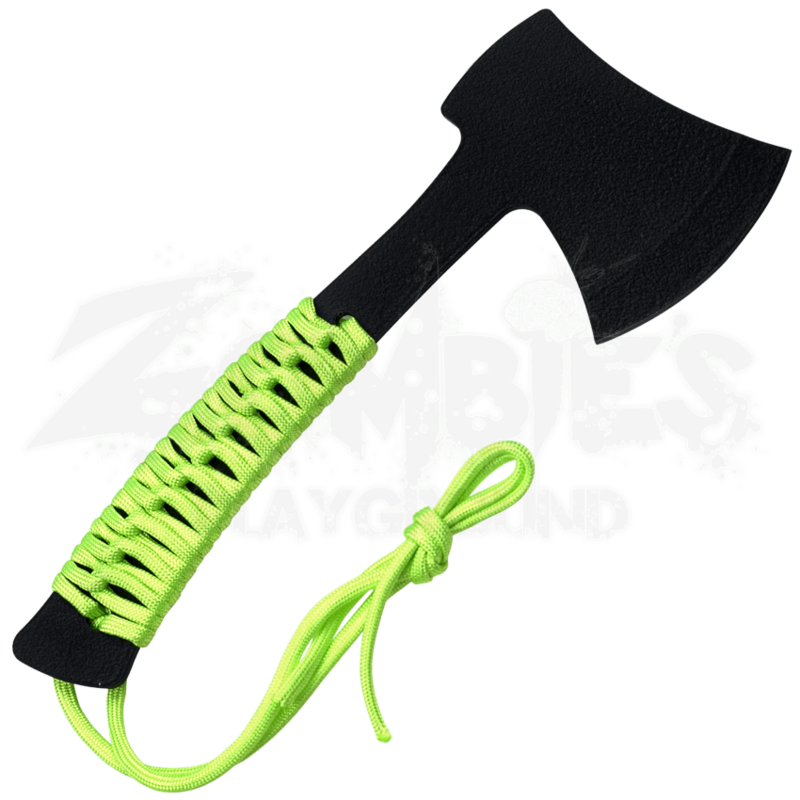 When facing zombie apocalypse, a ton of extras does not mean something is good - just look at the Cord Wrapped Zombie Hatchet. It may not have the features of other axes or hatchets, but it is rough and tumble and will get the job done. Its stainless steel construction, wrinkle finish, and cord wrapped handle offer a simple, effective design, giving you a hatchet that does what it needs to do without frippery. 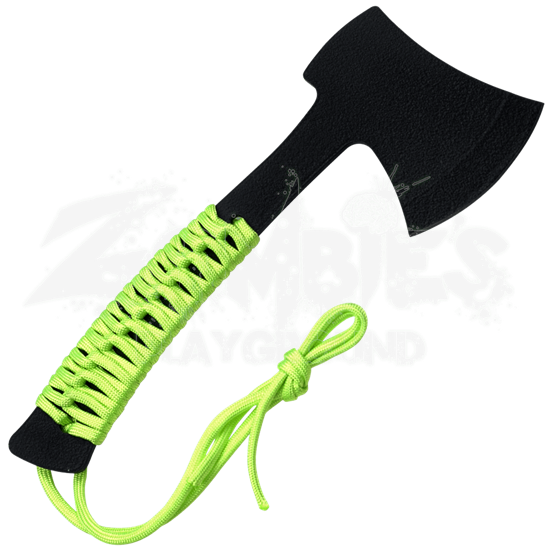 Get the Cord Wrapped Zombie Hatchet today for an invaluable piece for your zombie survival kit.